It wouldn't be the Christmas season without at least one post on the fabulous music this time of year brings...I thought I would highlight a few of my favorite Christmas albums and let you know how you can find some music for these last days of the season for yourself. By far one of my favorite Christmas albums, I could easily listen to Sarah McLachlan sing just about anything. But what has made this a stand-out album from the first season I fell in love with it, is her unique ability to capture both the sadness of Christmas with the wonder. "Wintersong", her original song written for her mother so eloquently expresses the grief that haunts every Christmas after you lose someone dear. Sarah's voice holds so much emotion and her rendition of River is also haunting and sad. Really, this one is practically perfect in every way. It occurred to me toward the end of the tour how inspired the flow of the evening was–how the first part with our stories of hope, grace, and all that we long for in the face of all of our shame, fear, and doubt asks the questions that God answers so completely and kindly with the mystery and beauty of the Incarnation, God with us, breaking into the run down tenement hall of our humanity to take us to the home that we’ve never seen but that we know is real if only because of our homesickness. (Jason Gray at the Rabbit Room) If that doesn't convince you this album is worth checking out, I don't know what will. 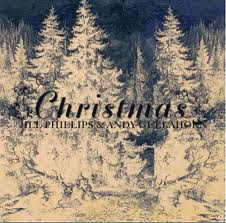 Christmas by Andy Gullahorn and Jill Phillips just came out this year and is the Christmas album I probably listened to most this season. It's understated, no over the top music, just a nice selection of carols, a few original songs, and a humorous rendition of "Baby, It's Cold Outside." I felt like I was discovering some new songs all over again and the original song by Jason Gray and Andy Guallahorn, "I'll Find a Way" is one of the loveliest most mysterious Christmas songs I've heard. I was moved to tears and wonder listening to Jill Phillips sing "Some Children See Him." I highly recommend this one as a lovely addition to your Christmas collection. 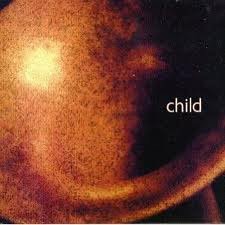 I have long been a fan of Jane Siberry and her Christmas CD, Child, is one of my favorite of her recordings. While not particularly religious herself, Jane dug up a bunch of old carols for a live Christmas show and breathed new life into them. The result is a wonderful collection of Christmas music, some slightly irreverent stories and the usual offbeat poetry and music one expects from Jane Siberry. The songs were recorded live with special guests and are full of energy and brimming with different feelings about the season. I adore it, and simply can't say enough good things about it. And I love the energetic live version of "An Angel Stepped Down." Looking for Some New Christmas Music? 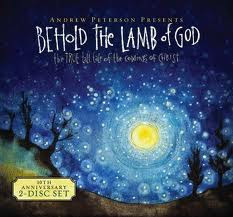 Amazon has had some great free holiday samplers in their mp3 store. I highly recommend these as a way to add some variety to your Christmas music! They've also been offering a new mp3 Christmas song a day for download. Thanks to Jodi for pointing out that Jane Siberry is offering both Child and another Christmas recording for free download! Don't miss out!